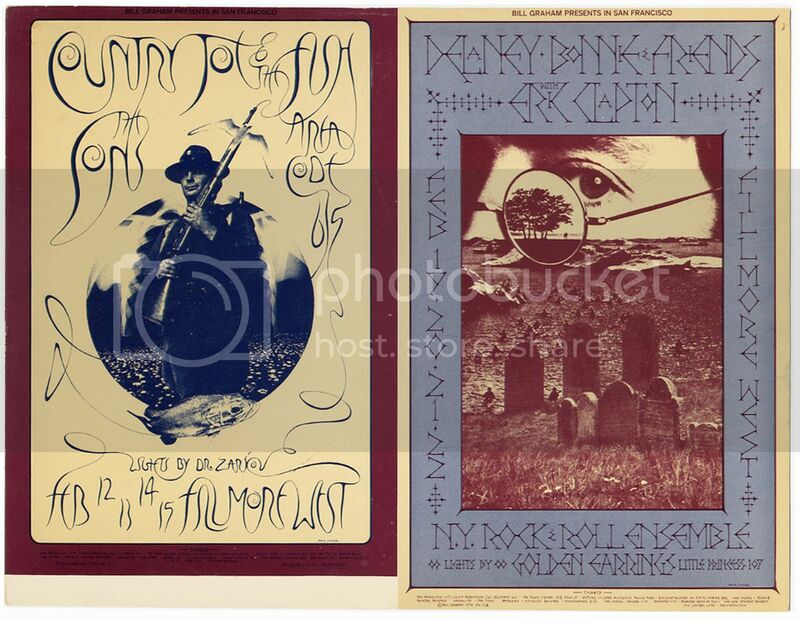 This is a rare and original BILL GRAHAM PRESENTS COUNTRY JOE & THE FISH & ERIC CLAPTON (Delaney Bonnie & Friends) Fillmore West Joined Handbill (BG217/218) from concerts at the FILLMORE WEST in San Francisco, Ca. 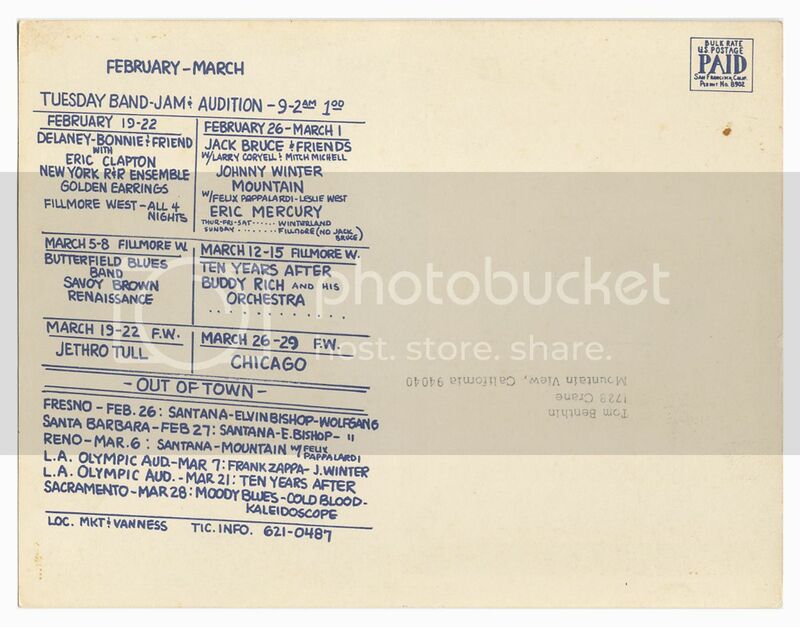 Feb. 12th – 22nd, 1970. The left side design showcases the COUNTRY JOE & THE FISH show and the right side announces the DELANEY BONNIE & FRIENDS show featuring ERIC CLAPTON. The handbill is in nice shape with NO FOLDS, CREASES or PINHOLES! Other than some minor edge wear, this handbill is in awesome condition. Measures 7 1/8″ x 9 1/4″. Categories: MUSIC, PAPER PRODUCTS, Handbills. Tags: collectibles, Delaney Bonnie & Friends, Eric Clapton, Bill Graham Presents, Country Joe & the Fish, Fillmore West, handbills, music, Pop Culture, postcards. Be the first to review “Bill Graham Presents COUNTRY JOE & ERIC CLAPTON FILLMORE WEST Joined Handbill (Feb 12th 1970) Rock Music” Click here to cancel reply.